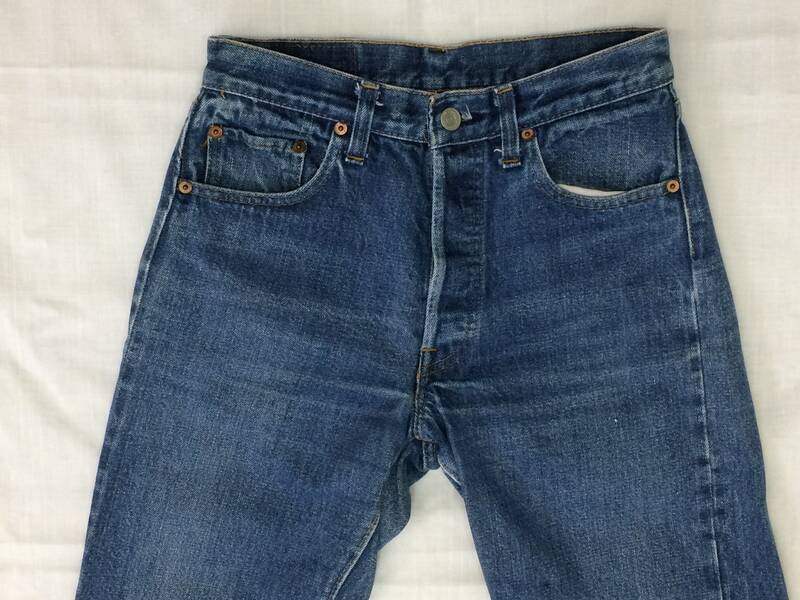 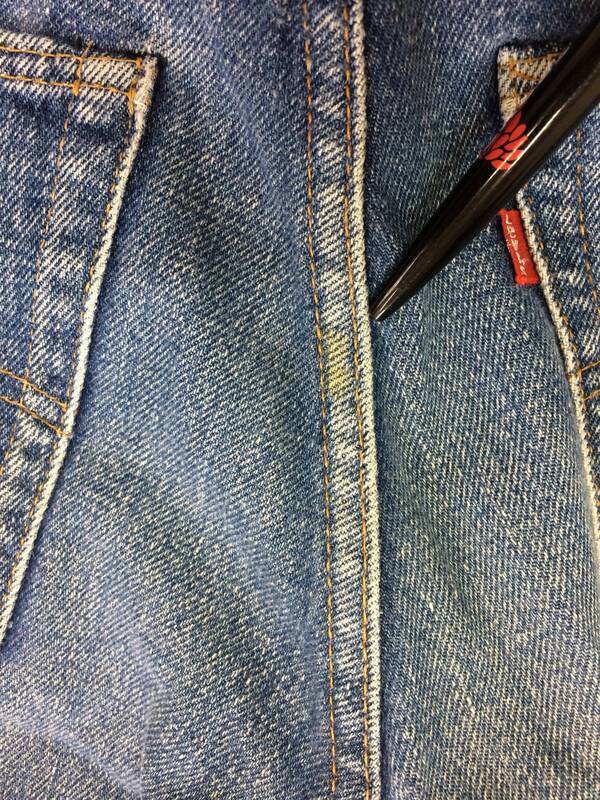 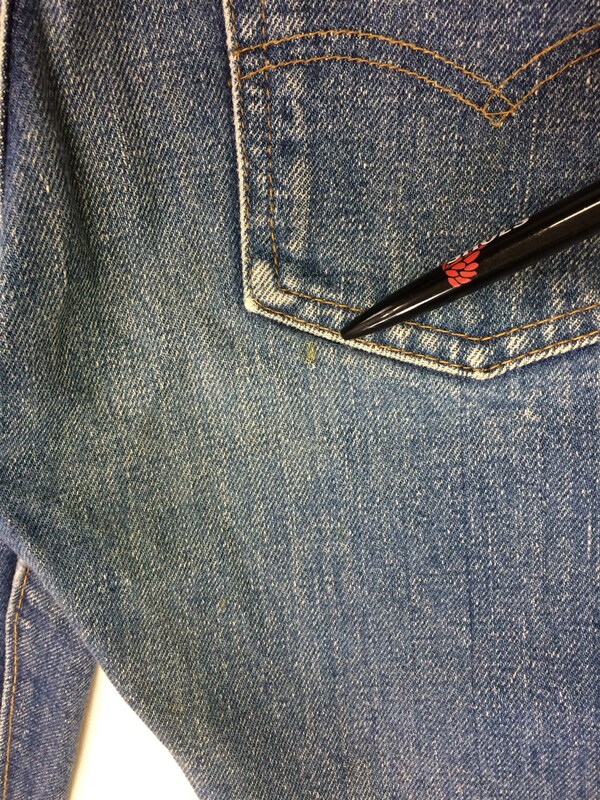 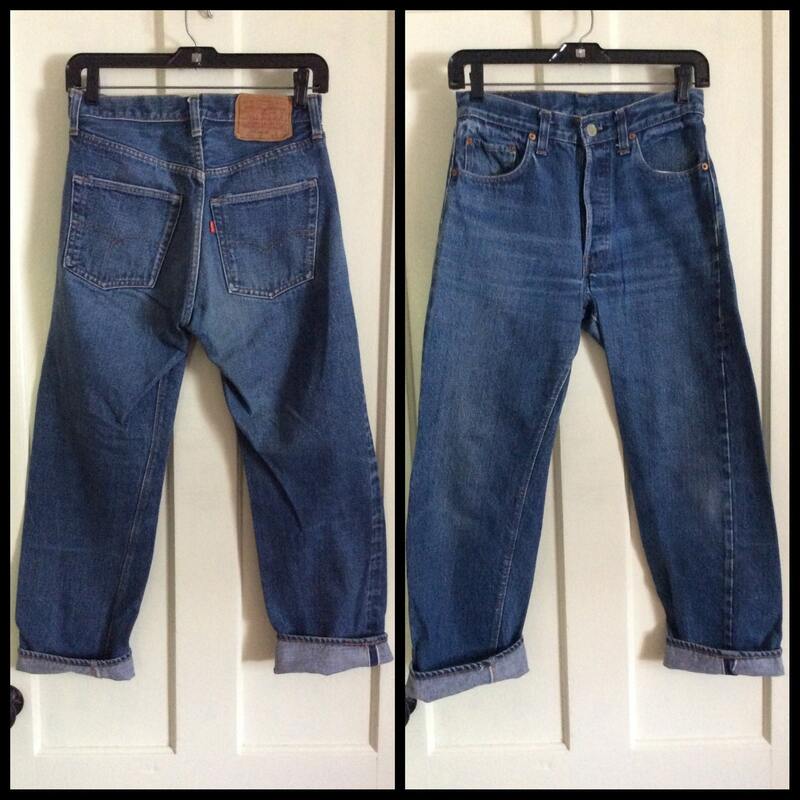 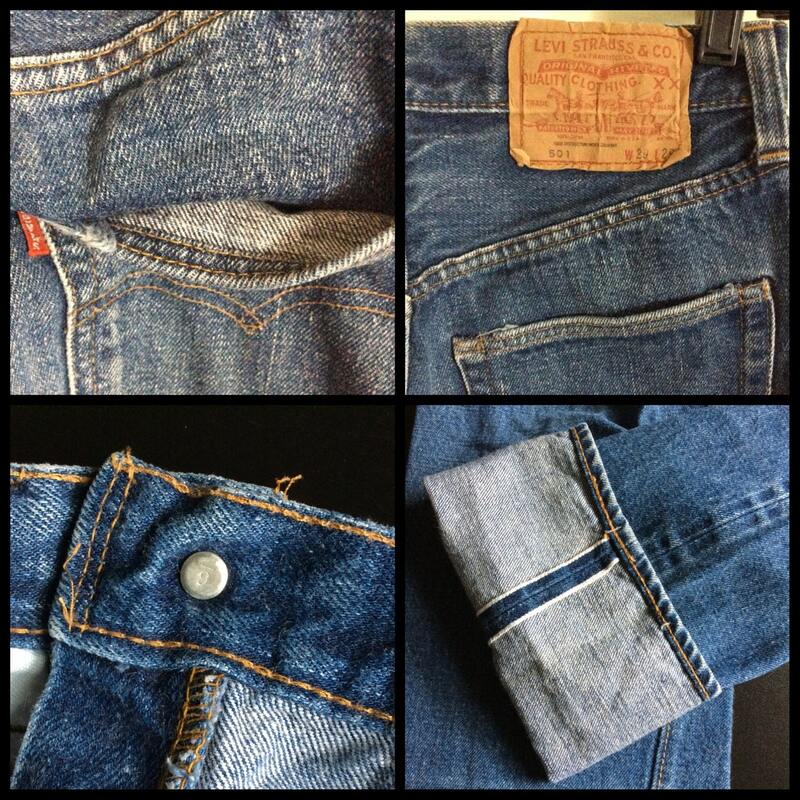 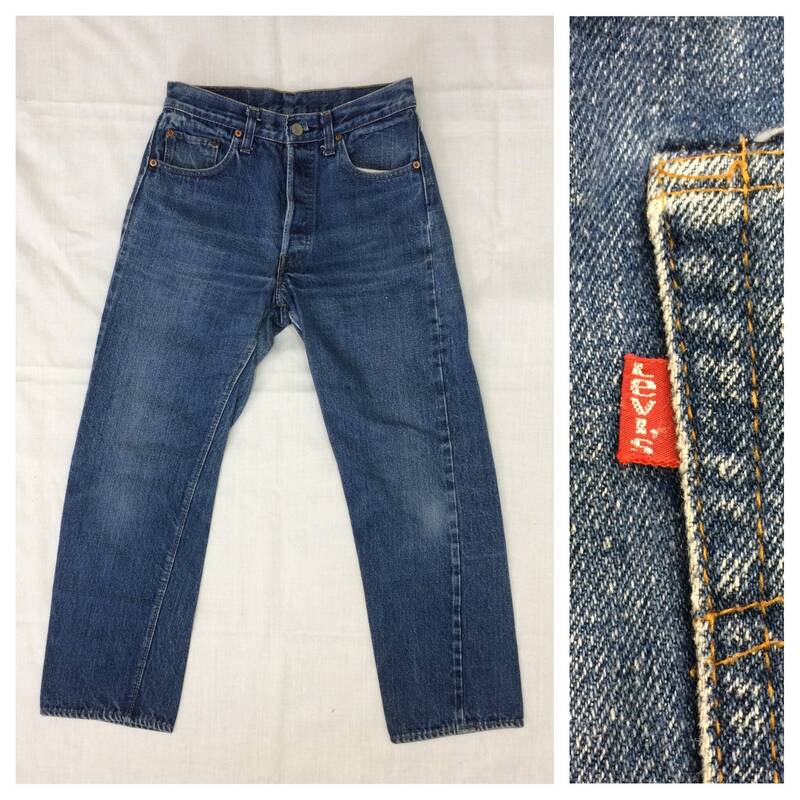 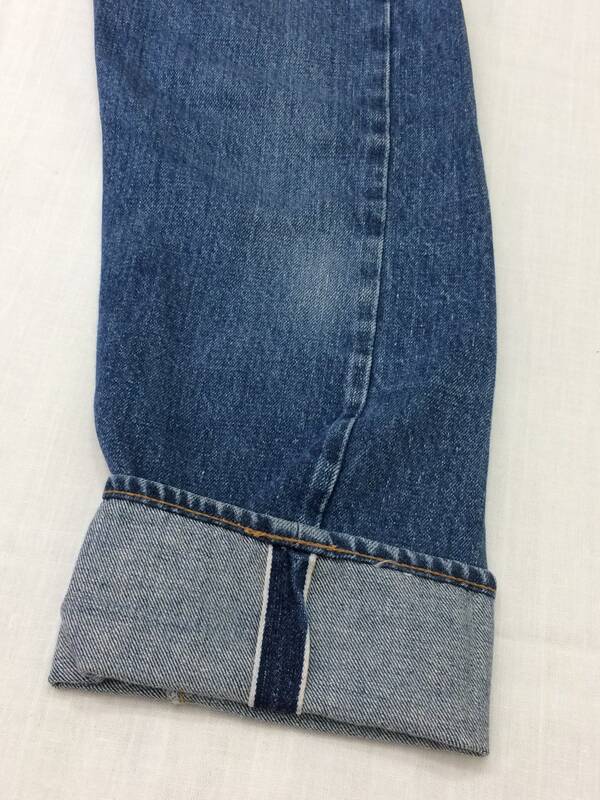 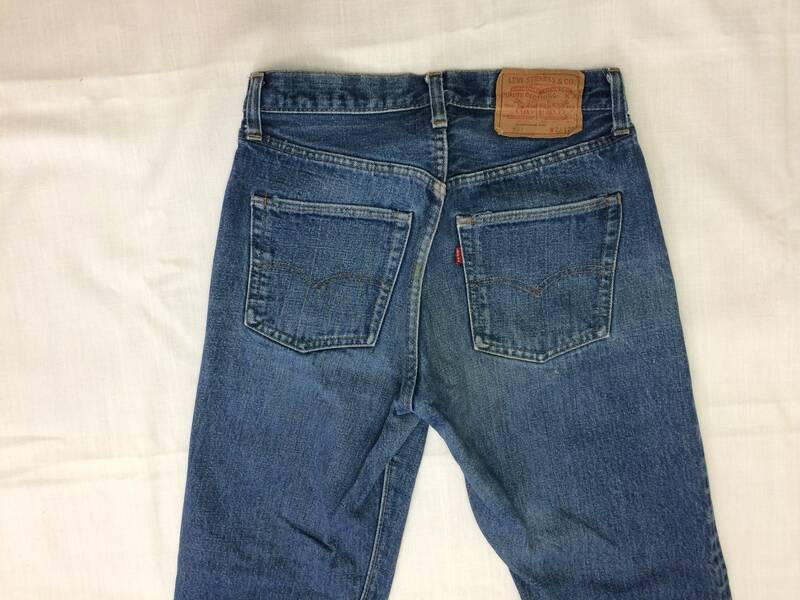 Here's a pair of redline, single stitch Levi's 501 jeans from the 1970's. 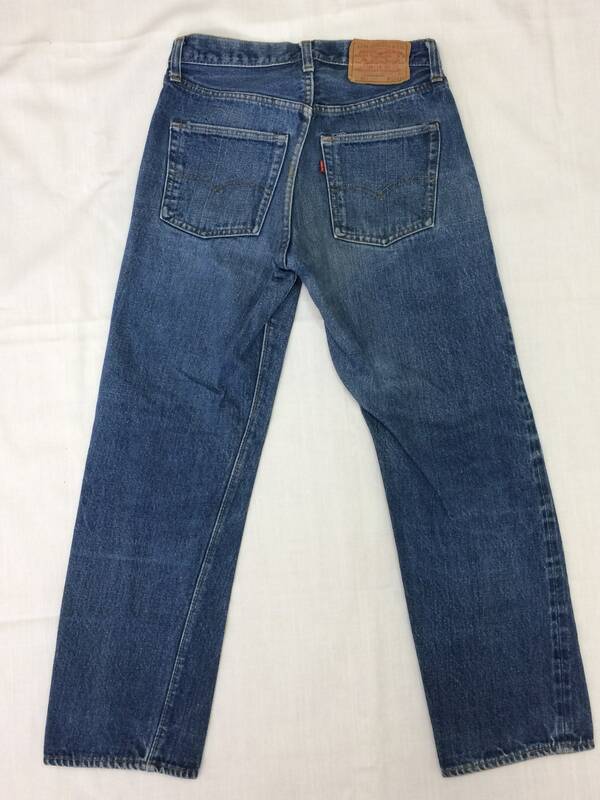 They're perfectly worn in and faded. 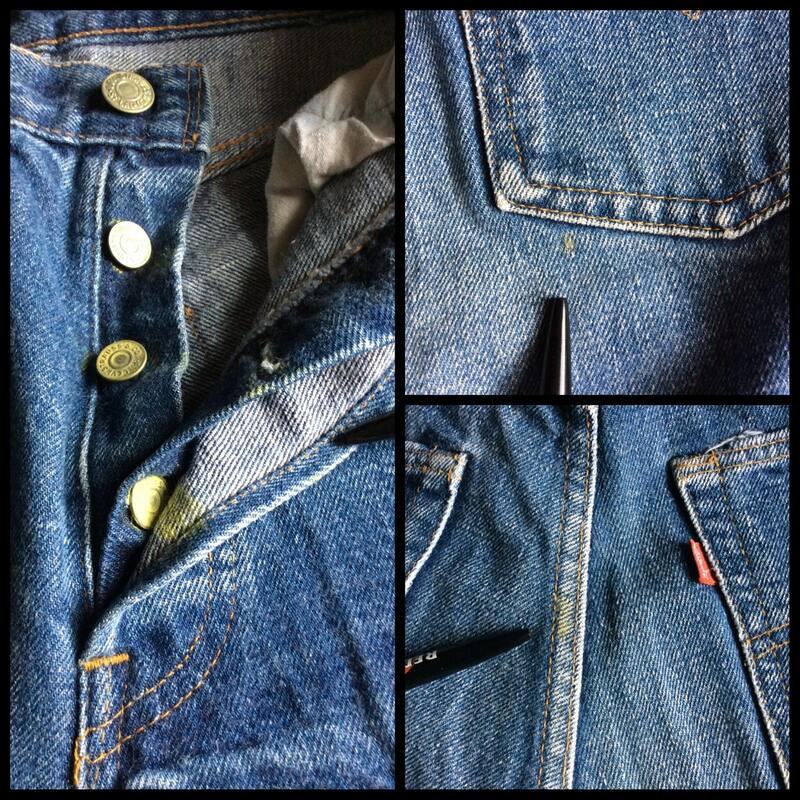 There's some patina on the fabric from the buttons in front and back, see last photo, otherwise they're in excellent, very used condition.